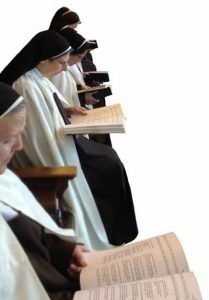 Ware Carmel is home to a community of sixteen women, gathered together to live our vocation as Carmelite nuns. Different in age, background, talents and personalities, we are united in seeking to make the total gift of ourselves to God in a contemplative life of prayer, undertaken for others and lived out within the loving support of community. Our monastery and grounds are situated in Ware Park in Hertfordshire, and it is within this enclosure that we live out our vocation of prayer for the whole world. ut quis velit, justo libero. libero suscipit libero venenatis, elit.